Howdy friends and welcome to another fun filled fantasticly fabulous Friday episode of our Homebrew Happy Hour podcast! Alliteration aside, we hope you’re enjoying your day as we much as we are! Today’s episode is a Q&A show with James Carlson of CMBecker International! So… it’s basically Joshua reading questions to James and nodding his head in approval! 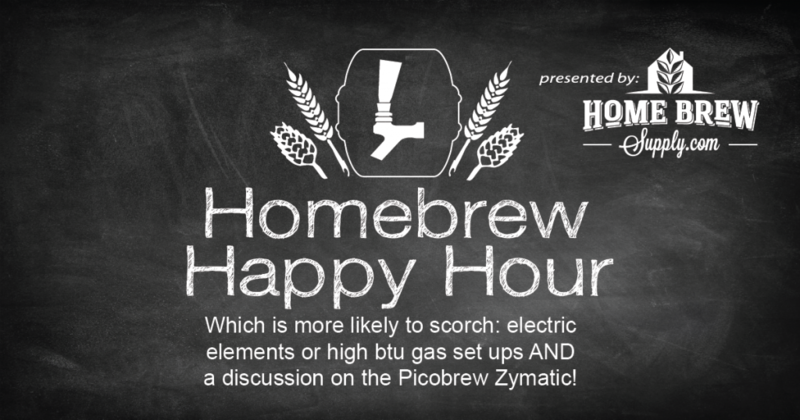 Questions today include “When using a keggle to brew, which do you think is more likely to cause scorching: electric elements or a high BTU gas set up?” and a listener asks a great question which leads to a discussion (er… sales pitch?) from James. Oh, and Joshua complains about Annie Johnson never remembering him in the same breath as calling her “Amy” (insert facepalm.jpg here)… It really is a fun listen!